Lt. Col. Robert T. Chalmers; 1st Lt. Roy B. Duggan; Maj. Horace B. Reeves; 1st Lt. Brooks W. Lovelace; Maj. John E. Boland. Lt. Col. Keith E. Sims; 1st Lt. Joseph C. Miller III; Capt. Keith A. Martens; Maj. Richard H. Mark; Capt. Albert R. Simpson; Maj. William J. Schuman; Maj. Alphose F. Yupcavage. Capt. Stewart V. Spragins; Capt. Bert M. Kesner; Maj. Richard W. Rauch; Dr. Fisher; 1st Lt. Horace W. Martineau; Capt. Edward P. Shug. Capt. Ernest. 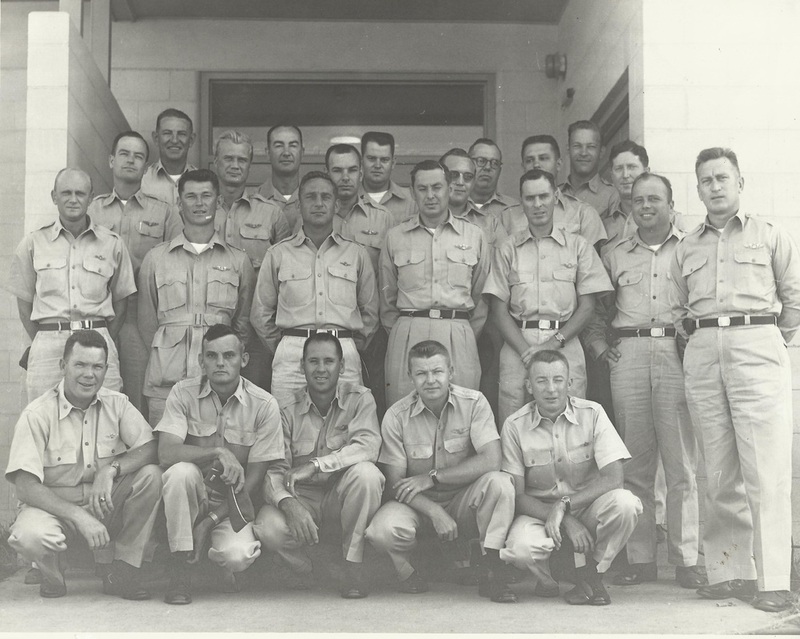 R. Nations; Maj. William P. Cumisky; 1st Lt. Frank E. Reynold; Maj. Royle P. Carrington; 1st Lt. Russell E. Zink.